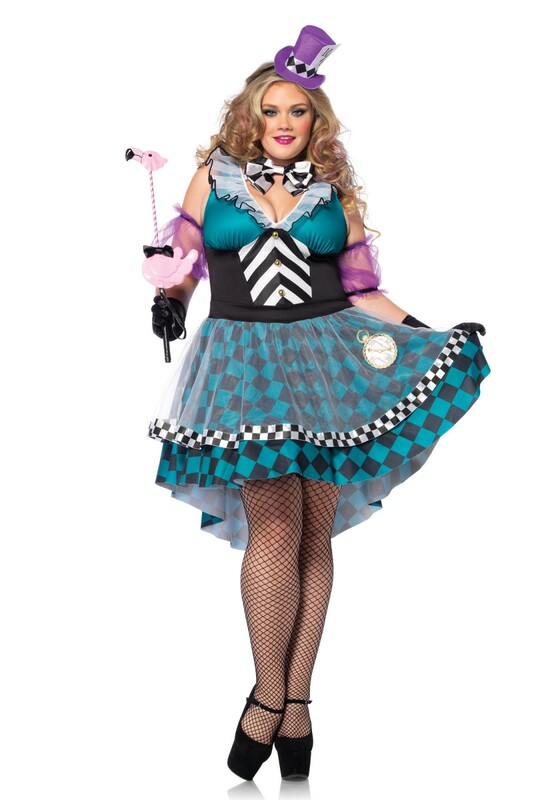 Mad Hatter from Wonderland never looked this good! This luxurious costume has lots of details. 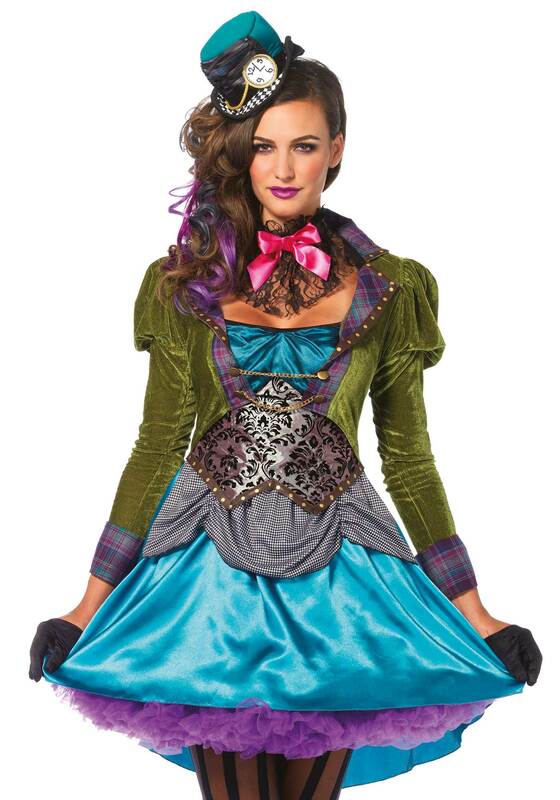 This 3PC fairy-tale costume is a luxurious version of the Mad Hatter character. 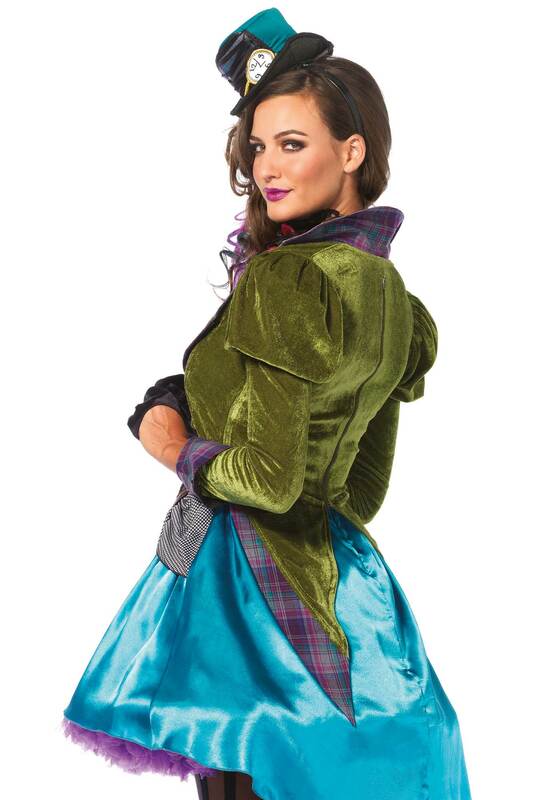 This costume set includes a high/low velvet and satin coat dress with houndstooth pickings and brocade panel details, a lace ruffle neck piece, and a mini clock top hat. The gloves and pantyhose are not included. The length of size Small, measured from the shoulder is 82 cm/ 32 inch at the front and 105 cm/ 41 inch at the backside. The model has a length of 178 cm/ 70 inch and is wearing a size S.